The law is a straightforward but at the same time complicated rule that everyone is required to follow. And since it is the governing rule or general policy of the land, it is a must to be able to fully understand these laws. These laws were written long before you were even born, therefore, the perceptions of then and now has drastically changed. If you do not take your time to actually understand the literal or even figurative meaning of these laws, there is a big chance that you have committed things going against these laws. Not only that, when you take time to study the law you may be able to find loopholes that can help the majority or to help amending these laws. You may also see marketing brief examples. In order for you to understand these laws or the basis for using and implementing them, you need to thoroughly and carefully study them. You need to have the patience, open-mindedness, attention to detail, and critical thinking so that you can examine these laws objectively rather than subjectively. Although the main purpose of setting up these laws is to have a governing rule to help manage people, there is also a complex nature into it. You may also like event brief tips and examples. Allotting time to read through these laws, the explanations, and how they were used during court proceedings is a must. Speaking about court proceedings, you may immediately immediately think about legal cases. A case is a general term used for an action, suit, or controversy, at law or in equity. Basically, this means that a legal case is a dispute between two or more opposing parties. You may also check out what is a briefing note? 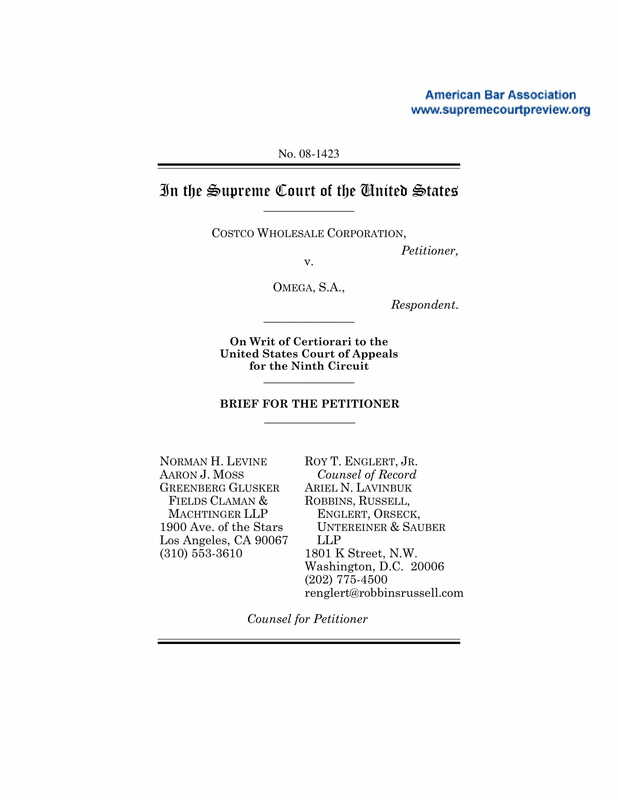 A court proceeding or other equivalent legal process is done to help solve this dispute. In addition, there are two main types of cases: civil and criminal case. In a civil case, the party who files the complaints is requesting a remedy or compensation for the damage caused by the defendant or the person the case was filed against. On the other hand, a criminal case is the indictment of a person who committed a crime by a grand jury or a prosecutor or district attorney. You might be interested in summary writing examples and samples. What Is a Case Briefing? A case briefing has been a method of studying law and has been used for a long period of time. The purpose of case briefing is to have students identify the rules of law used in court cases. 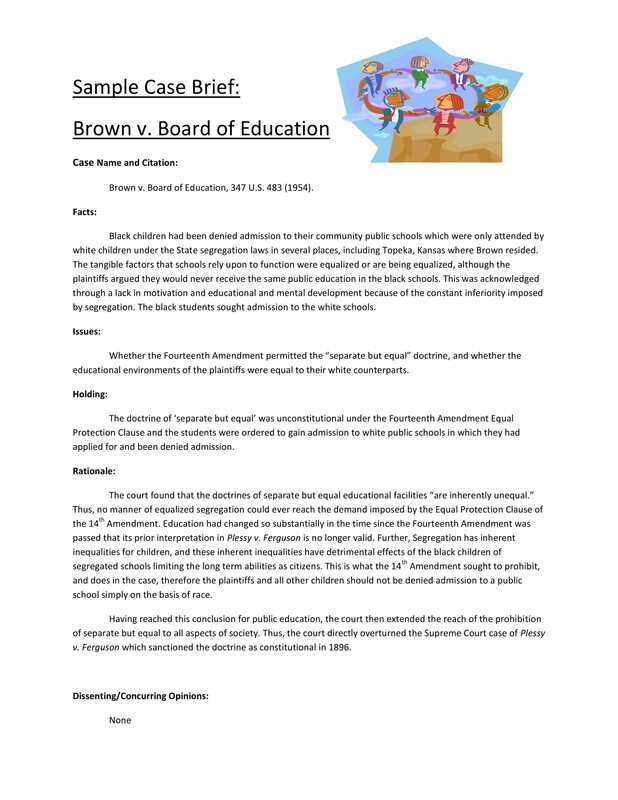 It also urges the student to analyze how courts have objectively and rationally applied these rules of law to the facts of the case. You may also see how to write a summary. It is a way of presenting a case in a systematic way so that the most relevant facts are determined, the legal issues involved are identified, arguments from the opposite parties are examined and have a discussion of the judgement. Briefing cases hone the analytical skills and help improve understanding on the role of courts in interpreting and applying these laws. It is an important professional skill since briefing cases improve your keenness on all the information of the case, therefore, it can also be used on the other aspects of your life. This type of exercise is commonly used by law students when they study different laws. You may also like summary examples. With the term briefing, it literally means condensing all the facts of the case in a shorter form. This helps the students or people in general understand the case easier. 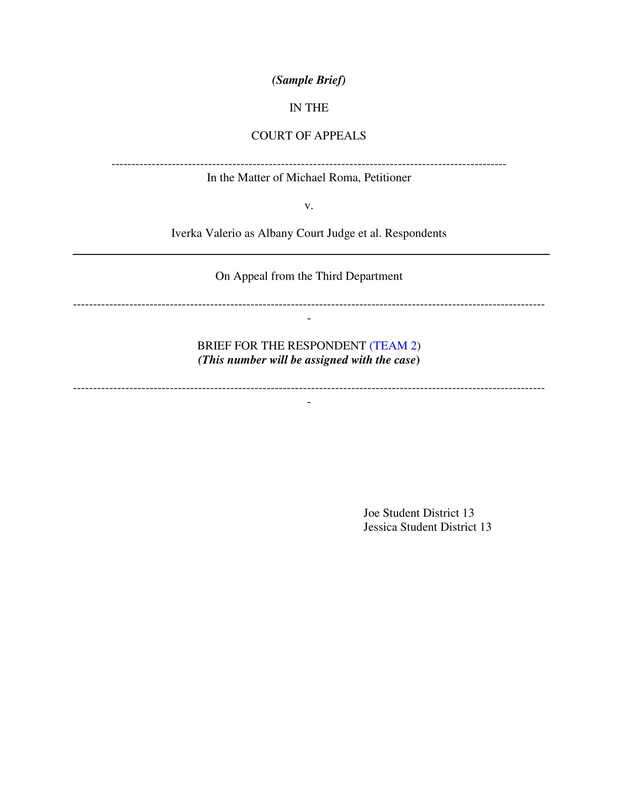 Basing on the provided facts and other information of the case, the student writes a short version by isolating significant elements of a judicial opinion. It dissects these information so that the case can be thoroughly studied. This can then help the student understand the concept of the applied law better. You may also check out research summary examples. 1. The facts of the case can be easily remembered even in short span of time, most commonly used for class discussions. You may also see meeting summary examples. 2. The future value or the precedent of a judicial decision is acquired while making and studying the brief. It helps in finding the principles of law that the case applies. 3. An area of law can be reviewed easier and smoother. Basically summarizing a complex and long document, it gives a comprehensive version of the case while providing a summary of an area of law. You may also like how to write an investment summary. There is no right or wrong way of briefing a case; it all depends on the requirement given by your professor for the course or the court. You should follow the format that is most useful and is required for the class and exam preparations. However, regardless of format, the next consecutive steps should still be followed. You may also see how to write a professional summary. The first thing you need to write on your case brief is the case name, the court that decided it, the year it was decided, and the page on which it appears in the casebook. It should be directly displayed on the front page of your brief or on the upper part of your paper. The facts of the case should be stated after the case name. Only include the facts that are relevant to the case. This is because legal principles depend on the situations in which they are needed to be applied. 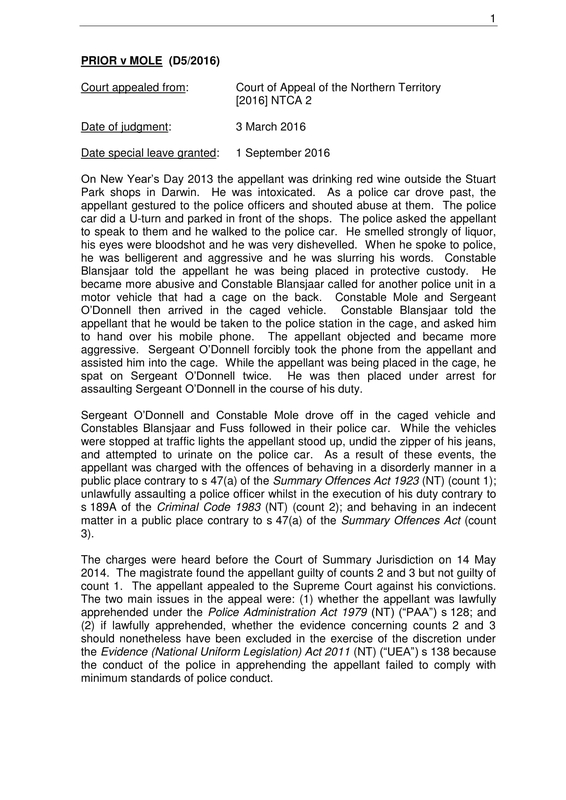 If a detail had an impact on the outcome of the case, that fact it is legally relevant. For example, for a personal injury action derived from a car accident, the colors of the car would be most likely relevant to the outcome of the case. You may also like career summary examples. 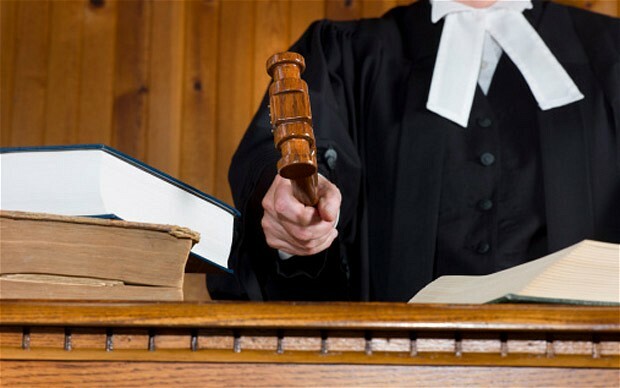 The next section of your case is the procedural history which begins and ends with the case’s presentation in the court that wrote the opinion you are basing your case brief on. For a trial court case, you will need to identify the type of legal action the plaintiff or the person who filed the case has brought. You may also check out project summary examples. After the fourth step, you are now prepared to describe the case you are briefing. 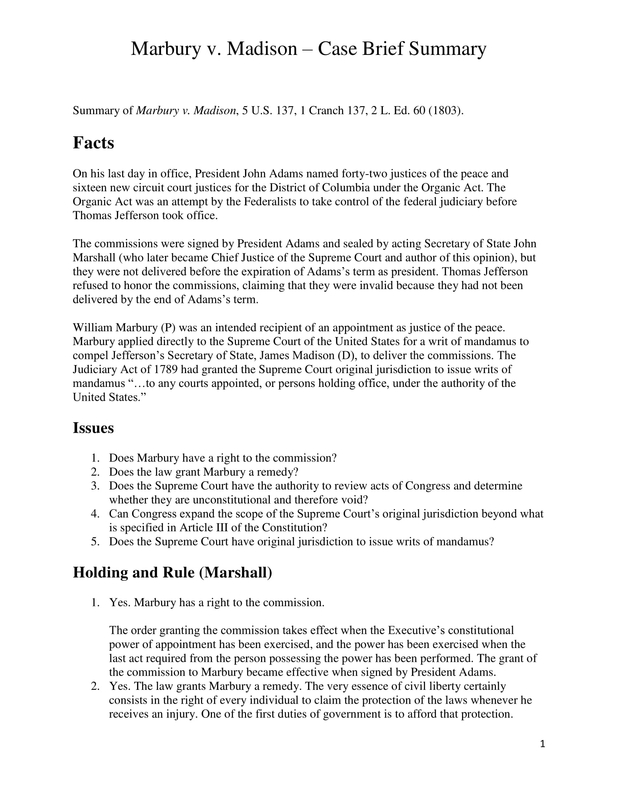 In this section, you need to state the factual and legal questions the court has decided on. You need to break it down to its component parts in order to analyze the case properly. For this part of the brief, you need to answer each question you have stated beforehand. To make it easier, first state the answer in one or two words such as yes or no. After that, you can then proceed on stating the legal principle with which the court has relied on to reach that answer or holding. You might be interested in examples of writing a narrative summary. 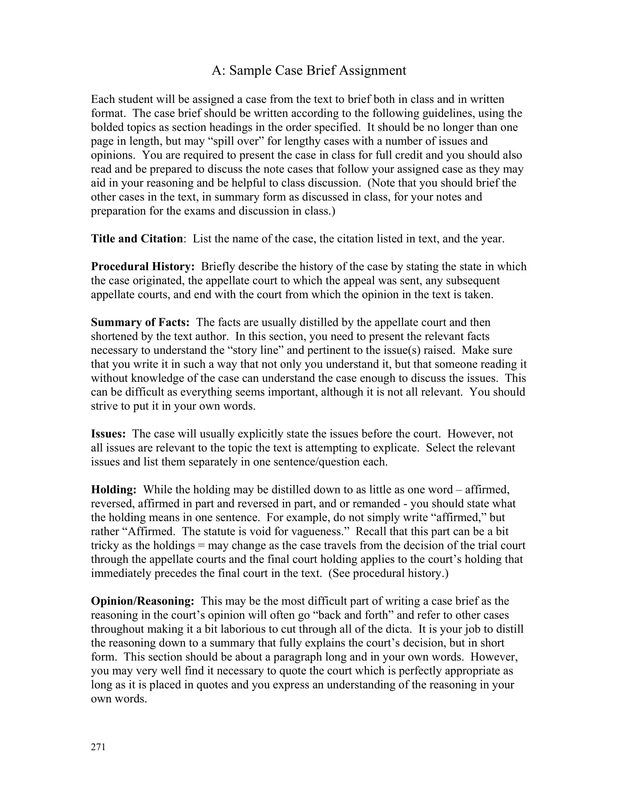 In this step, you need to describe the court’s rationale for each answer or holding. 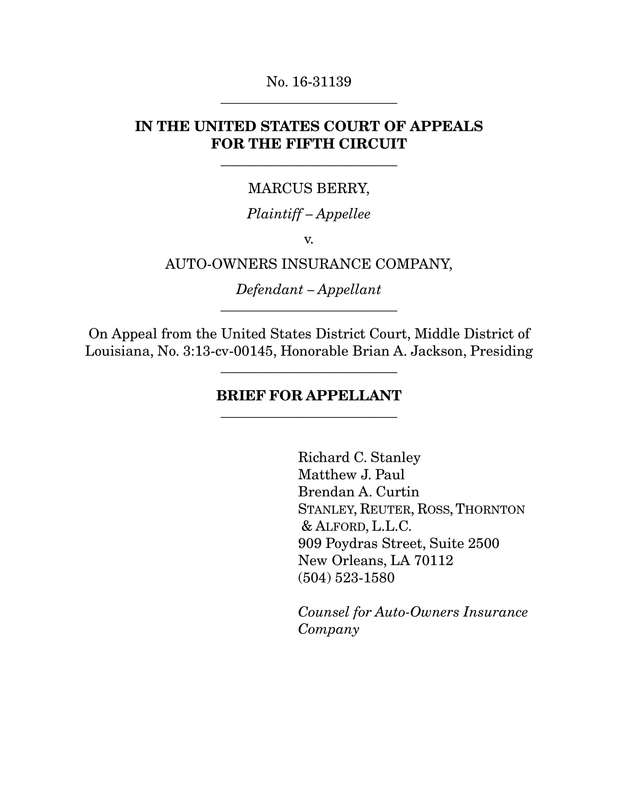 This may be the most important section of a case brief since you need to understand the reasoning behind the court’s answer in order to analyze it and apply it to other situations with the same thought and requiring the same answer. 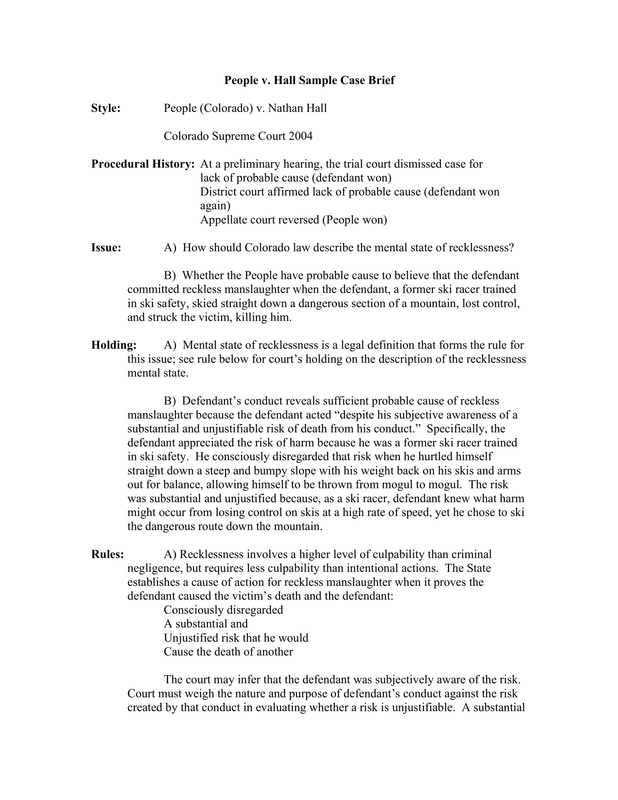 Start with the first question or issue, then proceed to describing each link to the chain of reasoning of the court. You may also see personal summary examples. In this step, you need to describe the final disposition of the case. 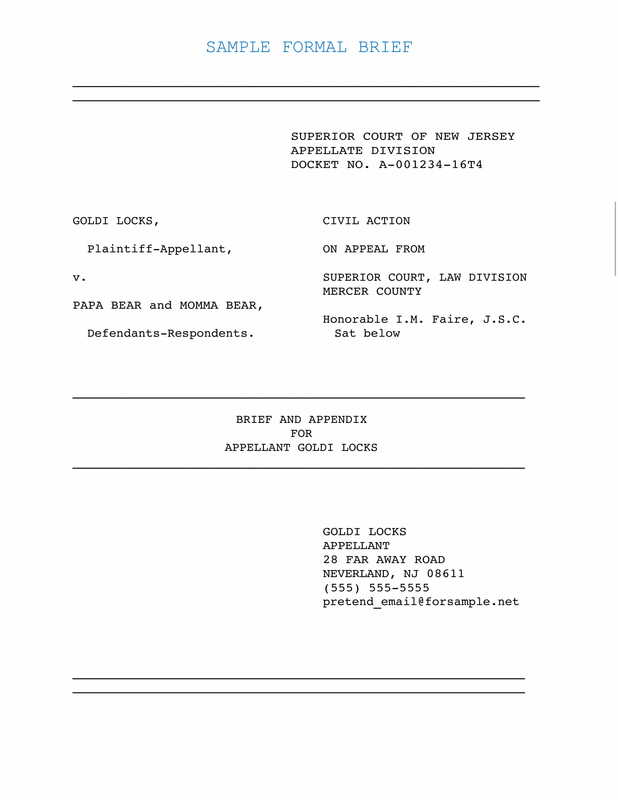 Did the court favor the plaintiff or the defendant with their decision? If any, what remedy did the court accede? You need to be able to clearly explain what has been the final decision on the case in order to understand how the law was applied. You may also like thesis summary examples. In other cases, presenting an interesting alternative analysis of the case is included. In this case, you should clearly and thoroughly describe the analysis in your case brief. It can help you see the case in a different perspective helping you form an analytical and logical thought on the case. You may also check out job summary examples. 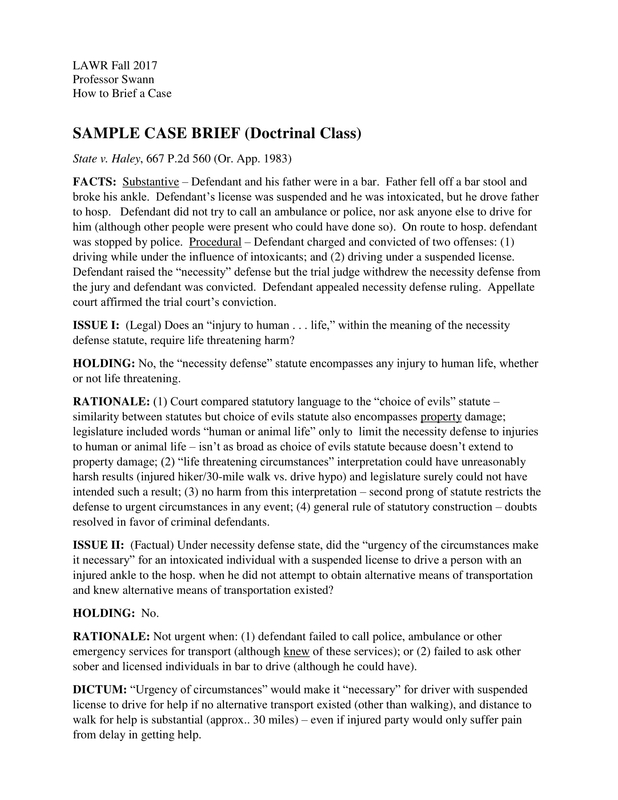 A case brief is commonly used by law students since it is a helpful method in comprehensively studying the law. It helps them better understand what laws were applied and how they were applied on the case. It helps shed light on the most important information and aspect of the case in order to better understand the reasoning of the court with its decision. You may also see objective summary examples. It is a tedious and meticulous task but the output can be of great help to whoever needs it. It helps you make an analysis and judgment that can be used in other cases. We hope that this guide was useful to you.